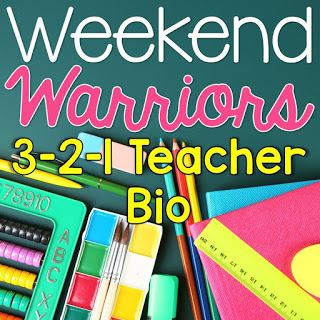 I was on Bloglovin' and I came across a new link-up (at least new to me), titled 3-2-1 Teacher Bio. I was enjoying reading and learning about other teachers, so I decided it would be fun to participate! Hang on to your hats! 2. My first year back in the classroom was a success. Of course, being the regular me, I started thinking about how I could improve and make things even better for the next year. I was speaking to the principal one day, and she asked if I would be willing to accept the nomination for our school's Teacher of the Year award. JAW DROP! I think if that is something I can achieve my first year back in the classroom, I can only imagine how well I can do next year! 3. Over plan...I'm sure I am not alone in this. I wanted to do so much with my students that I would spend a lot of time planning and having lots of activities for us to complete. We were not able to complete everything by the end of the year, but I feel that my students were successful and they worked really hard! 1. I love to read! Now that I've said that, I feel like I am not reading enough. My boyfriend knows that when I am reading, other things do not exist. 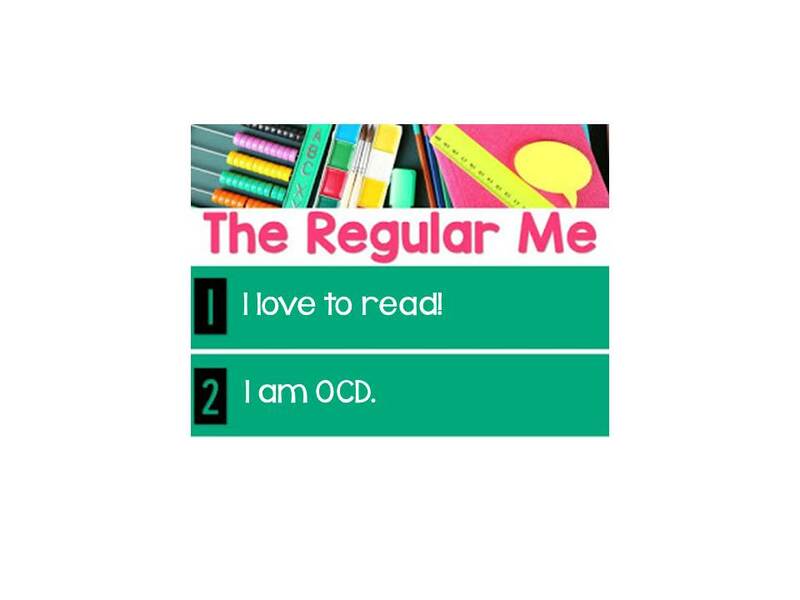 I get wrapped up in my reading and often read before I go to sleep, because it takes me to other places and I do not have my thoughts consuming my brain! It makes sense that I have a Masters in Library & Information Science! I wish, I wish, I wish! I have a friend that lives there with her husband (military) and I am jealous every time I see pictures on Facebook! 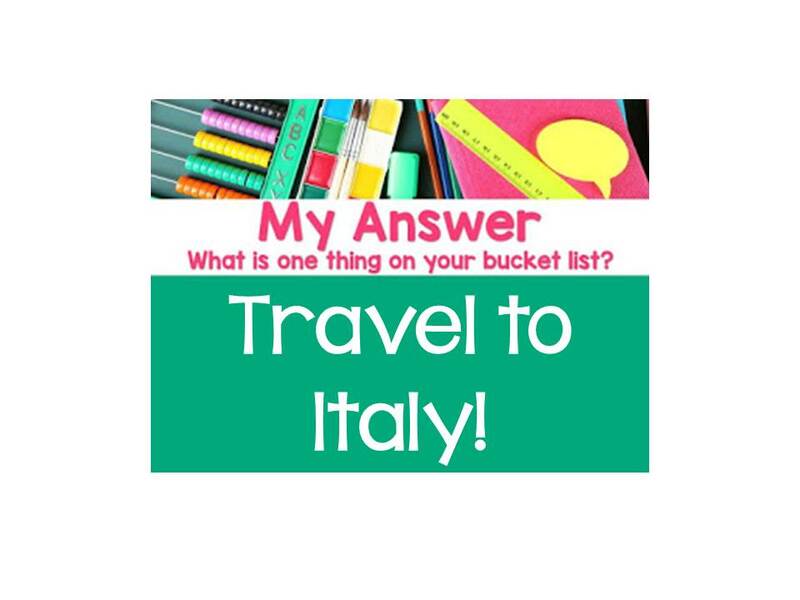 I have always wanted to travel to Italy and cannot wait until I actually get to go! Pasta and wine...where can you go wrong?! There's just a snippet about me! Feel free to participate! Thank you to Learning in Wonderland for hosting this link-up! Go and check out others! Congratulations on your award! Reading is a great way to relax and pass the time. I love that your boyfriend knows to let you get lost in your book. :) Thank you so much for linking up with us for Weekend Warriors this month! Italy is on my list too! And I totally understand the need to be organized. Congrats on being Teacher of the Year! Congratulations on Teacher of the Year! 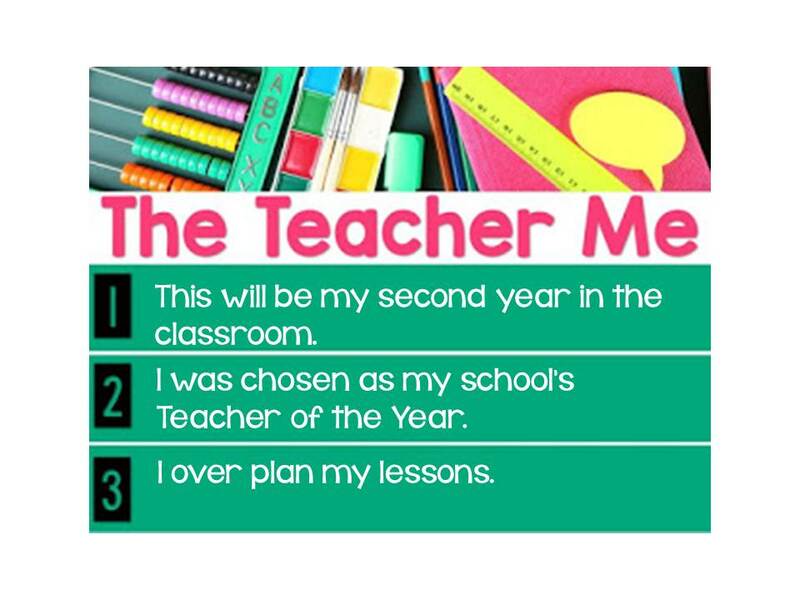 It sounds like you fell right back into the grove of teaching. I'd love to be a media specialist, but those positions seem to be dwindling. I hope your dream comes true and you get to travel to Italy. Yes, the media specialist positions are very hard to come by these days...maybe in the future they will be available! It seems like everyone wants to go to Italy. I can't blame them though. Loved getting a little insight into a blogger that I'd never encountered before. What an amazing honor, congratulations! Italy would be an amazing place to visit. Thanks for sharing and linking up with us! Congratulations on receiving Teacher of the Year, very encouraging after being out of the classroom for years! :) I'm an over-planner as well, but I like to be prepared and utilize my time as much as I can. I can always easily adjust to do what we didn't finish the following lesson. Congrats on your reading award! That is awesome! And don't give up on your dream to visit Italy. It was on my bucket list for more than a decade and finally last June my husband and I spend 2 weeks in Venice, Rome, Florence, and Capri Island for our honeymoon! Words cannot describe how incredible it was! Thanks so much for joining the Weekend Warriors linky! WE hope to see you back next month! Thank you to all for the praise! It was very welcoming and makes me feel great! I am looking forward to the next Weekend Warriors! Italy is amazing and you should definitely find a way to get there! Congrats on your award - how amazing! Sugar, spice and everything nice! That’s what the blog is about.